Since Swiss heritage is a theme in my latest Chloe Ellefson/Historic Sites Mystery, The Heirloom Murders, my husband Scott and I have spent the past couple of years poking around the lovely communities in Green County, WI. Towns in this area have a strong Swiss presence. New Glarus, which proudly claims the title of “America’s Little Switzerland,” was settled by immigrants from the Canton of Glarus in 1845. Last year Scott and I attended the Green County Cheese Days festival in Monroe. It was great fun, and I had the chance to confirm a few details needed for my book. It was also big and boisterous. 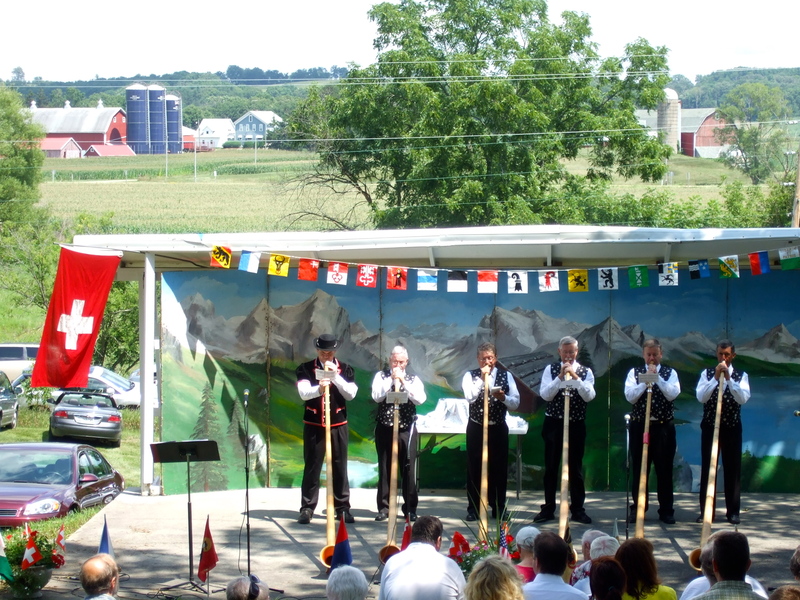 This summer, we made plans to attend Volksfest in New Glarus, the community’s celebration of Swiss National Day. 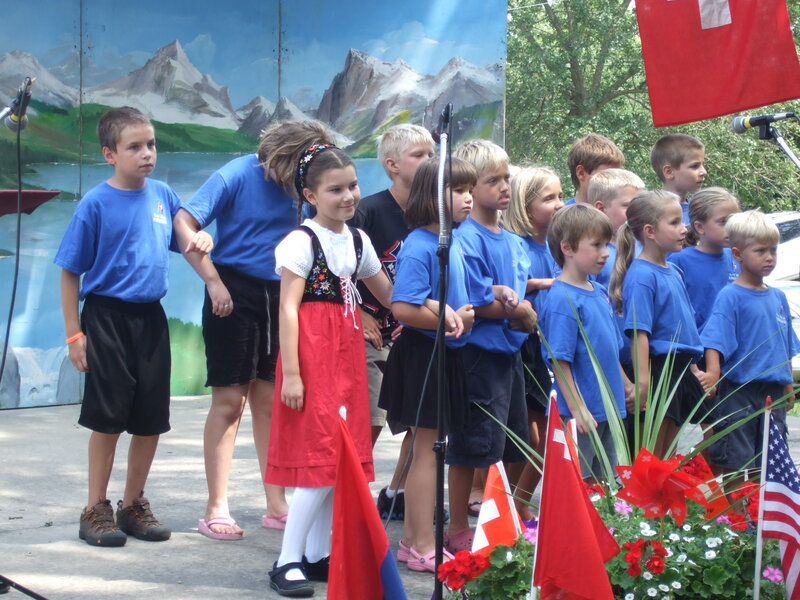 The observance commemorates the birth of the Swiss nation on August 1, 1291, when three Alpine cantons swore an oath of confederation. 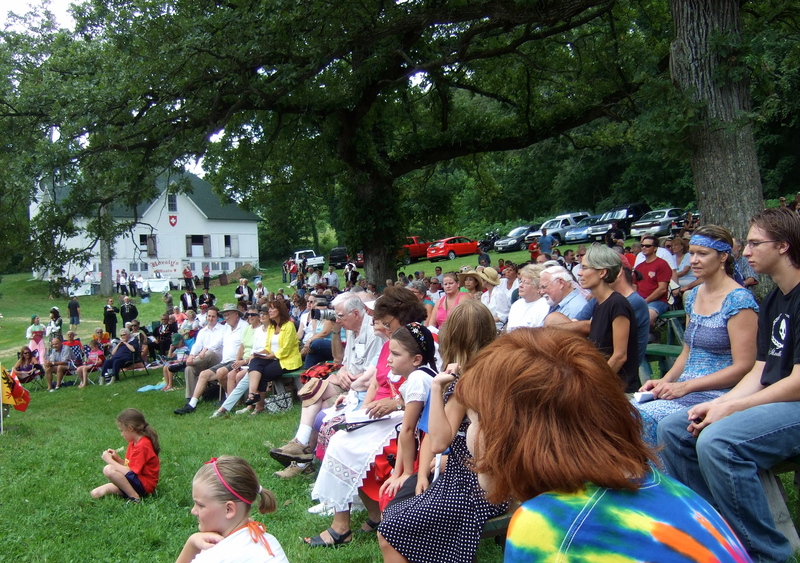 In New Glarus, Volksfest has since 1929 taken place in a small park just north of town. It’s a peaceful, lovely spot. Guests sit in the shade of magnificent old oaks. Rolling farmland is visible beyond the stage. 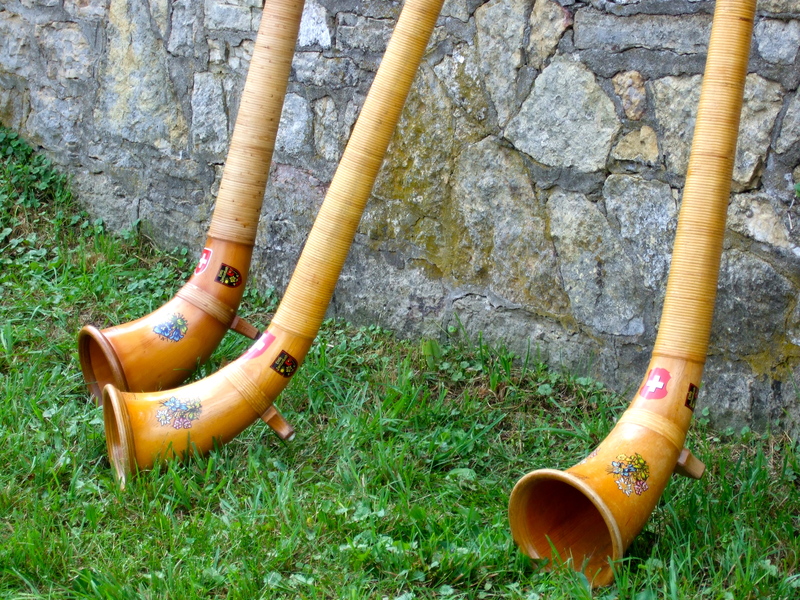 Music from the Green County Alphorns drifted over fields that Swiss-Americans have farmed since 1845. The New Glarus Kinderchor was a big hit. So was the Jodlerklub New Glarus. Special guest Emanuel Krucker, visiting from Switzerland, played the Hackbrett (a folk instrument, similar to a hammered dulcimer). 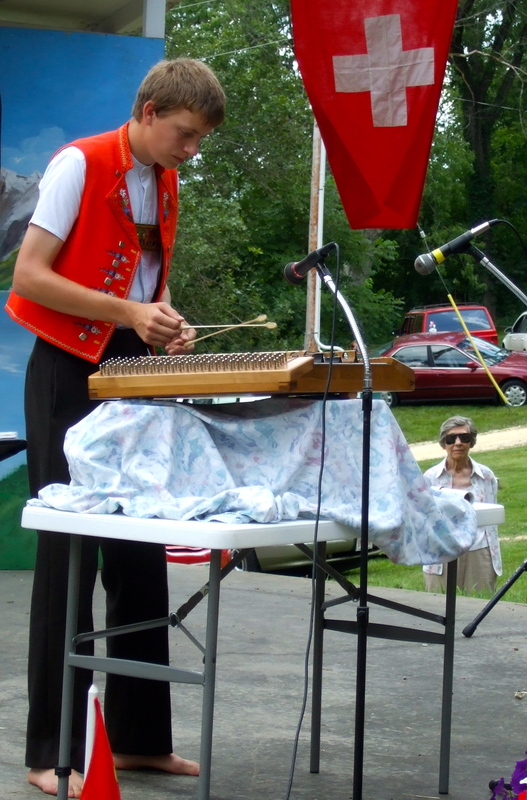 A few of the New Glarus performers celebrating Volksfest were born in Switzerland. When the MC asked “How many of you are Swiss?” about half of the people in attendance raised their hands. I did; my father’s parents were born and raised in Switzerland, and I’m proud of that part of my cultural identity. But it really didn’t matter where the performers and visitors came from. Everyone enjoyed the afternoon. After the performance, all were welcome at a dance held in the nearby barn. Many communities in the Upper Midwest have a strong ethnic flavor, instilled by whatever cultural group was predominant among early European settlers. National celebrations like this were once observed by immigrants who remembered the old country. Later they were observed by the American-born descendants of those immigrants. In many towns that ethnic heritage has by now evolved into a celebration of community, rather than personal, history. Some people fear the traditions might fade away altogether. In New Glarus, at least, Swiss traditions are still going strong. 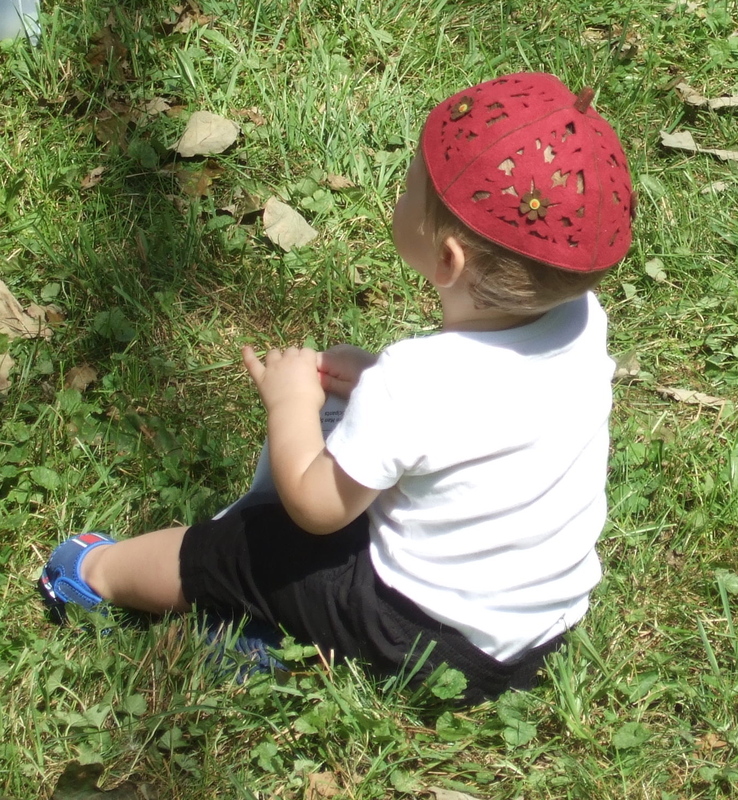 This little guy is starting on ethnic attire–his jaunty cap–at a young age.